I asked Kelly, the Sommelier at Mizuna, what he drinks after a long shift - he immediately grabbed a bottle of Pol Roger. 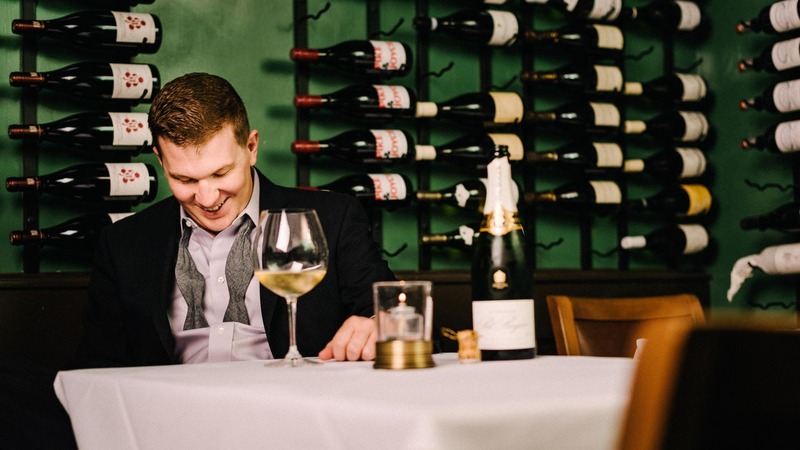 I had him sit at an empty table, he untied his tie and we chatted for a few minutes about what it meant to be Somm. As soon as the camera was off him he opened up and the jokes started flying. Here's one of the outtakes from our shoot.